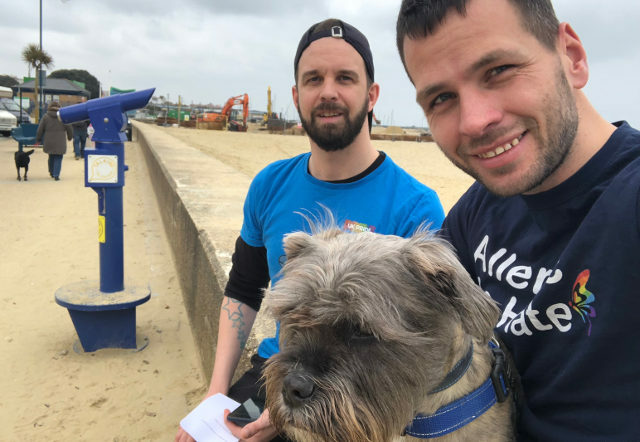 Isle of Wight Pride trustee, Matt Bundy and his partner Joe walked 72 miles non-stop around the Isle of Wight at the weekend, and with each mile completed, they dedicated it to a country where being LGBT+ is still illegal. If you follow OnTheWight on social media you would have seen our updates on Matt and Joe completing their 72 mile challenge. Matt Bundy, Trustee of Isle of Wight Pride and his partner Joe completed a gruelling challenge this weekend to highlight LGBT+ Human rights issues across the globe. They set off at 2pm on Friday 13th April and walked non-stop around the Island on the Coastal path. Each mile they completed was dedicated to a Country where being LGBT+ is still illegal. There was also a welcome boost today, when a letter from the Prime Minister, Theresa May, arrived adding her support to their cause. “Right now, there is a lot of physical and emotional exhaustion. Our legs don’t work and I think we have managed to gain 72 blisters between us too! For now, the Isle of Wight Pride team are looking at what their next crazy challenge could be! 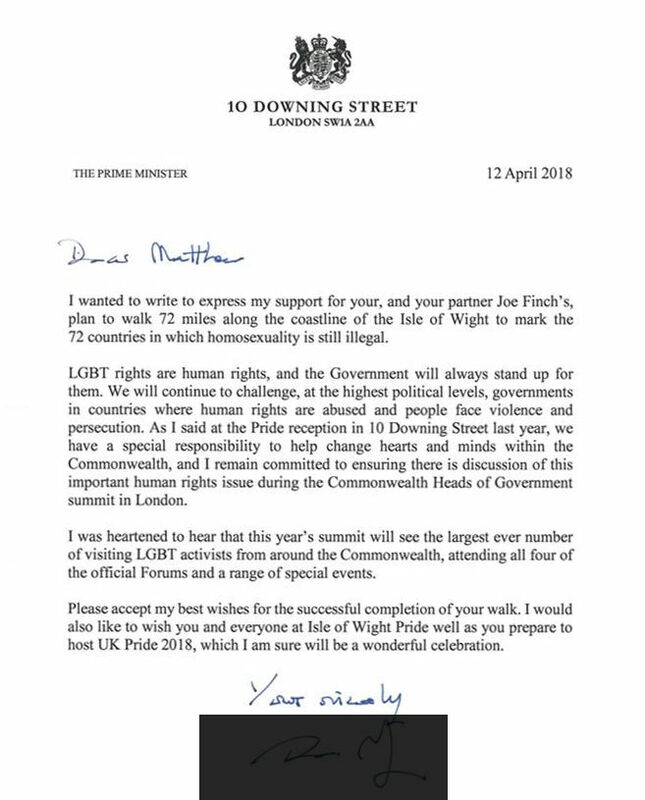 1 Comment on "Prime Minister Theresa May sends support for Isle of Wight Pride’s 72 mile challenge"
Many congratulations Matt and Joe. If you two (or anyone else LGBT+ are looking for somewhere exciting for a holiday try Tel Aviv! The gay scene there is buzzing! You’d love it. Israel is the only country in the whole of the Middle East which is democratic and where Gay Pride is allowed and celebrated. Their Gay Pride Events are just amazing!! Try googling it.